Cornelius Vanderbilt, also known as the Commodore, belonged to the most important American entrepreneurs of the 19th century. He began to built his wealth in shipping which was later replaced by construction of railroads. He started his own steamship company, eventually controlling Hudson River traffic. He also provided the first rail service between New York and Chicago. At the time of his death, in 1877, he had accumulated the largest fortune in the U.S. Vanderbilt is deemed one of the richest Americans in history, America‘s leading businessmen, philanthropist and is credited for helping to shape the present-day United States. His empire today would have the value of 169 billions of dollars, what puts him on the second place in the list of the richest people in America, following Rockefeller. 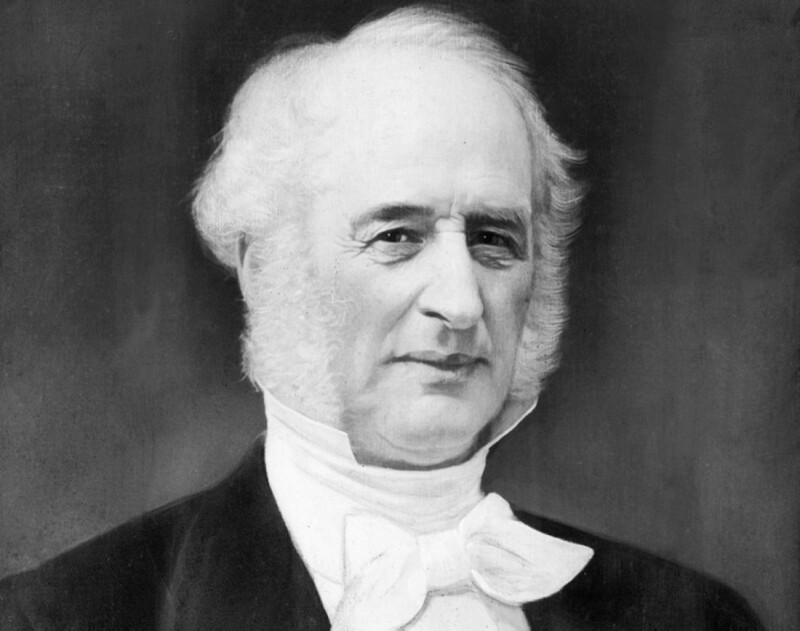 Cornelius Vanderbilt was born on May 27, 1794 in Staten Island, New York, to Cornelius van Derbilt and Phebe Hand. Following the death of one of his eight siblings, Vanderbilt, at age 11, dropped out of school and began working on his father‘s ferry in New York Harbor. This job sparked his interest in the sea, which he pursued by studying all aspects of the shipping business. At the age of 16 Vanderbilt decided to start his own ferry service. He began his business with one boat by ferrying dry goods and passengers between Staten Island and Manhattan. His energy and eagerness in his trade was so huge that other captains nearby took to calling him The Commodore – a nickname that stuck with him all his life. During the War of 1812, he was awarded a military contract to provide supplies to forts along the Hudson River. In 1813, Vanderbilt married his first cousin, Sophia Johnson. They were the parents of 13 children. With the rise of steamboat travel, Vanderbilt’s business was at risk because he could not provide what people were demanding. In 1817, he sold his sailing vessels and accepted the job for ferry entrepreneur named Thomas Gibbons who asked him to captain his steamboat between New Jersey and New York, Manhattan. In his mid-30s, Vanderbilt started his own steamboat business. Step by step, he started lines between New York and the surrounding region. First he took over Gibbons‘ ferry to New Jersey, then switched to western Long Island Sound, he took over line to Peekskill, New York. In 1831 his competitor called Daniel Drew forced Vanderbilt to buy him out. Vanderbilt was so impressed that he became a secret partner with Drew for the next thirty years and they entered into an agreement to not compete with each other. On November 8, 1833, Vanderbilt was nearly killed in the Hightstown rail accident on the railroad in New Jersey. A year later, he competed on the Hudson River against a steamboat monopoly between New York and Albany. Vanderbilt also had a great ability to steal away customers. Using the name „The People‘s Line,“ he used the populist language associated with Democratic president Andrew Jackson to get popular support for his business. Vanderbilt’s competitive abilities were so feared that rivals actually paid him to leave the Hudson River and so he switched his operations to Long Island Sound. Then he gained a reputation as a robber baron. During industrial revolution in the United States, Vanderbilt dominated the steamboat business on the Sound. With the construction of first railroads in the United States, he began to take over the management of the connecting railroads. The most attractive of these lines was the New York, Providence and Boston Railroad, popularly known as the Stonington. By cutting fares on competing lines, Vanderbilt drove down the Stonington stock price, and took over the presidency of the company in 1847, the first of the many railroads he would head. By the mid 1840s, Vanderbilt was operating a fleet of more than 100 steamboats worth several million dollars. He invested part of his money into ventures in Central America. When the California Gold Rush began in 1849, Vanderbilt switched from regional steamboat lines to ocean-going steamships. He launched a steamship service that transported prospectors from New York to San Francisco via a route across Nicaragua. His route was faster than an established route across Panama, and much speedier than the other alternative, around Cape Horn at the southern tip of South America, which could take months. Vanderbilt’s new line was an instant success, earning more than 1 million dollars (about $26 million in today’s money) a year. Vanderbilt also had many grudgings. One of them was Joseph L. White, a partner in the Accessory Transit Company. While Vanderbilt was on a grand tour of Europe in his steamship yacht with his family, White and Charles Morgan conspired to betray him, and deny him money he was owed by the Accessory Transit Company. After Vanderbilt’s return from Europe, he started a rival line to California and forced Morgan and White to pay him off. In 1855, Vanderbilt began to buy control of Accessory Transit once again and began overseeing a transatlantic steamship business. When the Civil War began in 1861, Vanderbilt attempted to donate his largest and fastest steamship, the Vanderbilt, to the Union Navy. However, secretary of the Navy Gideon Welles refused his offer, thinking its operation and maintenance too expensive for what he expected to be a short war. For the second time he succeeded when Secretary of War Edwin Stanton and President Abraham Lincoln called on Vanderbilt for help. The vessel was used to chase down Confederate raiders. By war’s end, he was the richest man in America with a net worth of over $65 million equivalent to nearly $75 billion today. But the war cost him his favourite son and heir apparent and he dived into a drink fuelled depression. The proof of Vanderbilt’s business competence is also the ability to see the business opportunities and to adapt to market’s demands. Vanderbilt shifted his focus from shipping to the railroad industry, which began to grow in the United States in the 1860’s. He used the same model as in previous businesses – he improved services and cut prices. And his success came very quickly – in 5 years he made 25 million dollars in the railroad business. He gained control of a number of railway lines operating between Chicago and New York and established an interregional railroad system. Vanderbilt took control of the railroad of Harlem, which was generally considered worthless, and made it valuable. The key advantage was its location. It was the only steam railroad to enter the center of Manhattan. From Manhattan it ran up to Chatham Four Corners, where it had a connection to the railroads running east and west. Vanderbilt brought his eldest son William in as vice-president of the Harlem and thanks to his good business skills he became the head of the Staten Island Railway and later also operational manager of all his railroad lines. In 1864, Vanderbilt sold his last ships, concentrating only on railroads. Trying to expand, Vanderbilt encountered conflicts with connecting lines, but he won each of them. He bought control of the Hudson River Railroad, the New York Central Railroad, the Lake Shore, Michigan Southern Railway and the Canada Southern as well. In 1870, he created one of the first giant corporations in American history by consolidation of two of his key lines into the New York Central and Hudson River Railroad. Vanderbilt was the driving force behind the construction of Manhattan’s Grand Central Depot. In 1869, the construction of the Grand Central Depot on 42nd Street in Manhattan began. It was finished in 1871, and served as his lines‘ terminus in New York. Several thousands of people were working on the building and the object became the biggest station in the world with 44 platforms and 67 rail tracks situated over each other on two floors. The station eventually was torn down and replaced by present-day Grand Central Terminal in 1913. In 1868, Vanderbilt‘s wife, Sophia, died. A year later, Vanderbilt married a distant cousin, Frank Armstrong Crawford. The marriage wasn’t without controversy, Frank was 45 years younger than her husband. Affected by his relative Holland Nimmons McTyeire, he endowed the university in Nashville, Tennessee, which was named Vanderbilt University in his honor. For this purpose he gave 1 million dollar, the largest charitable gift in American history to that date. He also bought a church for his second wife‘s congregation, the Church of the Strangers and donated to churches around New York, including a gift to the Moravian Church on Staten Island for a cemetery in which he was later buried. During the last years of Vanderbilt’s life, his son William took over the business. Cornelius Vanderbilt died on January 4, 1877, at his residence, at the age of 83, after having been confined to his rooms for about eight months. The immediate cause of his death was exhaustion, brought on by long suffering from a complication of chronic disorders. At the time of his death, his fortune was estimated at 100 million dollars. In his will, he left 95 % of his estate to his son William and to William‘s four sons. The Commodore stated that he believed William was the only heir capable of maintaining the business empire. He left only modest sums to each of his other nine surviving children in comparison with William, but it made them very wealthy by the standards of 1877. The Commodore had lived in relative modesty considering his nearly unlimited means, splurging only on race horses, leaving his descendants to build the Vanderbilt houses that characterize America‘s Gilded Age. The Vanderbilt mansions built by Cornelius Vanderbilt’s descendants include the 250room Biltmore estate, constructed in the late 19th century by one of Vanderbilt’s grandsons. It is the largest privately owned home in the United States today. 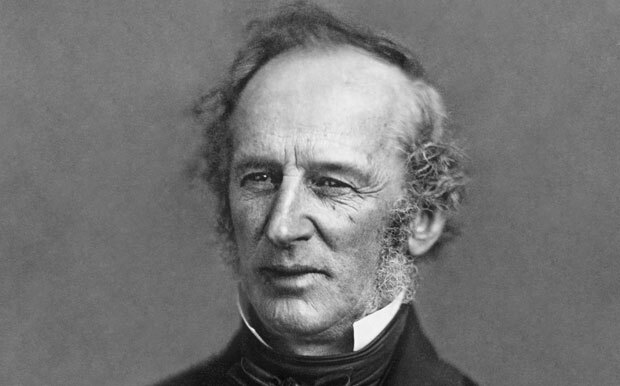 In 1999, Cornelius Vanderbilt was inducted into the North America Railway Hall of Fame, in the „Railway Workers & Builders: North America“ category, recognizing him for his significant contributions to the railroad industry.